Peter Isola represents investors, lenders, loan servicers, foreclosure trustees, and other parties in the defense of claims involving real property, including wrongful foreclosure, breach of contract, negligence, fraud, promissory estoppel, and alleged violations of California's Homeowner Bill of Rights (HBOR) and Unfair Competition Law (UCL). He also represents businesses, government agencies, and individuals as lead counsel in trials and binding arbitrations. Peter's practice focuses on the resolution of disputes in state, federal and bankruptcy courts. He also has represented clients in the California courts of appeal and in the U.S. Court of Appeals for the Ninth and Federal Circuits. Peter continues to advise and represent banks, credit companies, and other lenders in the prosecution and defense of claims, and he represents insurers and other businesses in a variety of sectors, including real estate, construction, finance, health care, hospitality, and technology. He also represents officers and directors, real estate agents, insurance brokers, attorneys, and accountants in the defense of professional negligence actions. Prior to joining Hinshaw, Peter was a partner with a large law firm in San Francisco. 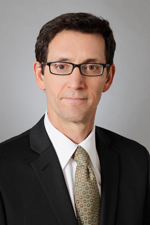 He has previously been a partner and an associate at San Francisco litigation boutique firms. During law school, Peter was Technical Editor of The Computer High Technology Law Journal.